In the last 12 months we've had 191 different people volunteer, which is amazing, and I think I'm safe in saying everyone of them loved it, and got to enjoy the event from a different perspective. And of course, the added bonus of getting to wear a stunning piece of hi-viz each time! Whether you're one of those 191 superstars, someone thinking about helping out, or have an interest in what's involved, then below is a brief overview of the first batch of volunteer roles. Now before you read on, I have mentioned the odd pitful of a role, two things to note, I speak from personal experience when I write these (as in I've made the mistake) but most importantly all these are easy to fix (and I mean really easy) just let the RD on the day know. Barcode Scanning: We provide the scanner, show you how the scanner works (there's just one button to press) and the order to scan the barcodes (always athlete barcode first) and away you go. There are normally three scanners, so you're never alone. Plus it's a good way to put a name to a face! Finish Tokens (& Finish Token Support): Hand out the finish tokens to all the finishers (if for some reason they don't want a token just remember to put it in your pocket - this helps keep the tokens & the stopwatches in sync) and if you drop them (and yes I've done this - 30 tokens in fact!) just leave them to one side, and when you can, let the run director know as they can tweak the results in the cafe afterwards. 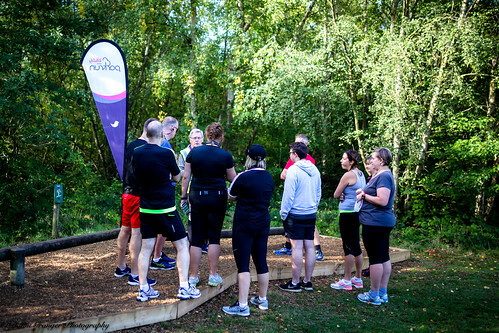 First Timers Briefing: The aim of this is to take first time parkrunners, or first time visitors to Shorne Woods parkrun, through the basics of the event. It's a 5 minute overview of the course, the event, and of course the location for post parkrun coffee & cake! 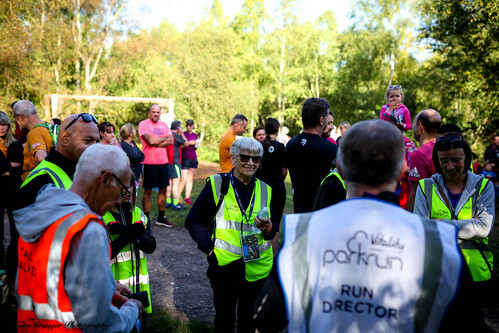 We provide a script to help you cover the key points, and this obvioulsy always happens before the run (normally at 8.55am) so is a role you can undertake while still getting in a parkrun. Funnel Manager: For those up for the glamour of a 'Management' role, this could be right up your street! To give you a bit of context, once the parkrunners pass the timers & enter the funnel, their time is logged & in the results. The role of the funnel manager is to ensure everyone stays in the order they enter the funnel, they keep moving along it, that they don't duck out, or if they need to (i.e. they're feeling a bit queezy - although it's only happened a few times for the 47k+ parkruns completed!) that the finish token is kept to oneside until they're ready to collect it. At the beginning & end of the event this is normally a quiet role, however for about 10 minutes (finishing times from about 25-35 minutes) you can get large groups of people coming through. The key requirement for this role, is being prepared to be heard if you need to deal with any issues mentioned above, no subtlty required here! Marshal: Definitely a non technical role, however hugely important, whether from encouraging the parkrunners on the three & a bit laps, coming into contact with other park users, reporting minor incidents back to the run director at the end of the event, or on the very rare occassion, dealing with more serious ones by raising the alarm during the event. And finally collecting in the cones, arrows & signs on your way back to the finish, once the tail walker has past you for the final time. Pacer: On the first Saturday of the month (there are a couple of exceptions, which we communicate at the time) we offer the chance for people to run with pacers, and so are always on the look out for people to pace. It can be any time, although I'd always recommend running a time at least a couple of minutes slower than you 'normally' run. We provide the pacer bibs, with your chosen time on the back, and then it's over to you. The other advice I'd offer on this, is the start is always congested, which can mean you have a slower start than your target time dictates. If this is the case i'd suggest trying to recover the lost time over the 3 laps rather than in the first lap, as those trying to run with you are going to be working hard, it's also well worth having a practice before you try it for the first time. I do enjoy pacing, and it's not a bad feeling knowing you've helped someone a little bit to get round to a new PB! Photographer: Quite simple, turn up take photos of the event, load onto our flickr page (which you can find via this link) let us know, and we'll then send out comms to let everyone know they're available to view! Having said that it's definitely a more time consuming role than many at parkrun, as depending how many photos you have to go through, and whether they require any editing, this can easily be an extra hour or so afterwards. 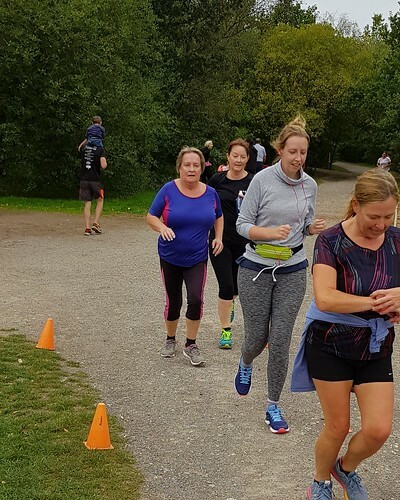 However based on the viewing figures of photos, along with feedback we receive, lots of our parkrunners love the fact you've gone to the trouble of taking them. In a couple of weeks I'll cover the remaining roles: Post-event Close Down; Pre-event Setup; Run Director; Run Report Writer; Tail Walker; Timekeeper & Token Sorting. This week we were joined by 227 parkrunners & 18 volunteers, of which we had 8 first time parkrunners, and for the second week running, 11 first time tourists, plus a first time volunteer! Also this week, 4 of you celebrated a parkrun milestone, as Kay & Julian completed their 50th parkrun, and Glynis & Matt completed their 100th! In addition there were 40 of you who achieved a new PB! Congratulations to all 44 of you! We do still need a few volunteers for this week, including scanners, marshals, & finish tokens, as well as some to do the first timers briefing & photography (full details of all these roles are above - definitely sounds better than find out what to do in two weeks!). If you missed last week's report, and want to find out how to get badges on your parkrun athlete page (who wouldn't!) then follow this link! All feedback on the 'run' reports, topics for future reports, or indeed letting us know you'd like to write it one week, gratefully received. This entry was posted in Run Reports by shornewoodsoffice. Bookmark the permalink.